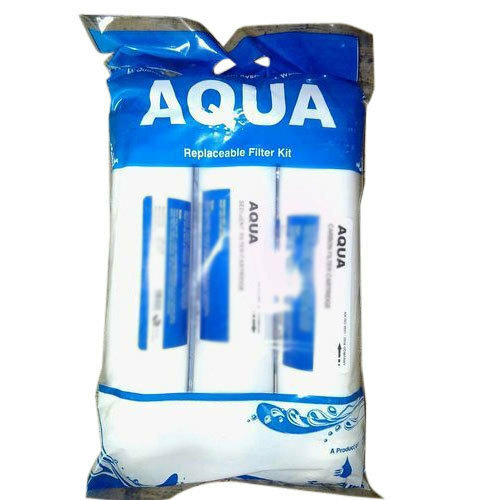 Keeping in mind ever-evolving requirements of our respected clients, we are offering a premium quality range of Replaceable RO Water Filter Kit. Established as a Sole Proprietorship firm in the year 2011, we “Maa Electricals” are a leading Manufacturer, Trader and Retailer of a wide range of RO Plant, AC DC Adaptor, Water Pump, RO Filter, RO Purifier, Filter Cartridge Kit, etc. Situated in Ahmedabad (Gujarat, India), we have constructed a wide and well functional infrastructural unit that plays an important role in the growth of our company. We offer these products at reasonable rates and deliver these within the promised time-frame. Apart from this, we also impart maintenance service of our products. Under the headship of our mentor “Mr. Nishant Dodiya”, we have gained a huge clientele across the nation.